Lord Rupert Carrington, heir apparent to the Marquess of Lansdowne and former captain in His Majesty’s Royal Navy, cannot forget the girl he loved in his youth, who died after he left to fight in the war against Napoleon. Guilt-ridden, Rupert buries his regret by helping the London detectives of Bow Street take down criminals. But when Rupert ferrets out a ring of smugglers and is marked for death, the prince regent banishes him to a remote corner of England to live among the locals and be known only by his title of captain. Thus, Rupert will remain safe until the villains are arrested and brought to court, where he will offer testimony critical to their conviction. On the first day of Rupert’s exile to the “wilds of Devon,” he meets Alexandra Dancy, a beautiful country miss whose complex character and extraordinary courage stir in him a degree of affection and admiration he has not yet felt for any lady. As fate or Providence would have it, Alexandra and her family, whose property backs his on the other side of a canal, have been hired to provide Rupert’s meals and to care for his house and stables. When Rupert’s friendship and warm attentions awaken Alexandra’s heart, she suffers the torment of loving a man she believes is of a higher social class than he pretends, and therefore beyond her reach. 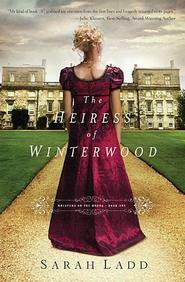 The impoverished Dancys hide their own aristocratic origins to protect a dark secret known to only one man—Cecil Bedford, a blackguard of the first order, who wields a cruel power over Alexandra and her family. Can Rupert save her from Bedford’s clutches and topple the seemingly insurmountable barriers to winning her love and her hand? Regency Romance at its Best! The struggle between the early 19th century British class system and matters of the heart is what we love about Regency romance, and Wanda Luce has done a wonderful job of it in her novel In the Wilds of Devon. Lord Rupert Carrington has been banished to the country for his own protection—the era’s answer to the Witness Protection Program. Yet nothing can protect his heart when he meets Alexandra Dancy, who is “not only very beautiful . . . but unequalled in strength and goodness.” Though Rupert’s match in every way, Alexandra is far below his social station . . . or is she? Rupert sets out to solve this mystery while at the same time protecting Alexandra from Cecil Bedford, an insanely dangerous man who will have Alexandra at all cost. With effortless prose we are shown the historical context of the British Regency—so we have the magical feeling we readers love: that we are actually there, smelling the lilacs after a rain shower and feeling the bulky awkwardness of a poorly tied cravat. The characters, as well, are shown to us—strong, yet each with a likable vulnerability that allows them to come to life. Luce cleverly balances the inward emotional struggles of her characters with a what-happens-next pace that keeps you moving from page to page . . . and before you know it, it is way past your bedtime. Go ahead and stay up—it’s worth it! If you love Jane Austen, beautiful writing, and Regency romance, you will not want to miss this book! What a charming read! Wanda Luce's love of language shines through on every page, in each beautifully constructed sentence of “In the Wilds of Devon.” Her writing truly evokes the spirit of Jane Austen in its grace and style. The story itself is a lovely one, too. The heroine, Alexandra Dancy, and her family have been cast into nearly impossible circumstances by a villain the reader will love to hate. Alexandra bears her plight with courage, wit, and a strength born of her great love for her family. It is wonderful to watch her spar with the handsome Captain Rupert Carrington when he unexpectedly comes into her life. It would be worse than unwise to fall in love with him, of course, when his situation is clearly so much higher than hers that she could never hope for an honorable proposal from him. Happily for the reader, the heart does not always listen to the wisdom of reason, and we are soon swept up in a romance between them that is by turns turbulent and tender. But that villain is always hovering about, threatening to destroy Alexandra’s happiness for yet a second time. Can he be thwarted and can true love triumph over all in the end? You will have to read “In the Wilds of Devon” to find out. If you love Jane Austen, beautiful writing, and Regency romance, you will not want to miss this book! This book has been on my list to own after I read Wanda Luce's debut novel Lydia(which has just been re-released under the title The Soul of a Lady) and saw that she had a second book about to be released. I loved Lydia and have been waiting (somewhat patiently) to read this one. Well for Christmas my husband bought me several of my wish list books and this was at the top! I was really excited. I love all things regency and Jane Austen and this fits that very well! Well when I sat down to start devouring this book I flipped to the back to read the synopsis and reviews. I opened the back cover to look at the author bio (yes I like to read those and the acknowledgment pages) and instead of her bio it was a page of reviews for Lydia. I started reading through them and guess what?! Much to my surprise and excitement my review was the last one on the page. Yay! Needless to say I was pretty excited seeing it printed in a book, and from an author that I really like! My husband had fun teasing me that I was published (hahaha) and my kids loved to tell everyone when they came over and showing them my book and review. It made for some fun excitement in our lives. Now onto my review of "In the Wilds of Devon". 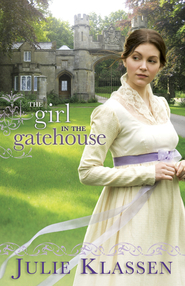 This novel was set again during the regency era and was a fabulous clean read. If I had to pick a favorite between the author's two novels I would definitely say Lydia(The Soul of a Lady) but this novel didn't disappoint in a fantastic storyline and great characters, especially a very oppressive "bad guy". Rupert is our main male character who has happened upon a ring of smugglers and has been working to oust them and get them arrested and stop their smuggling. His life becomes endangered and he is exiled into hiding by the Prince so that he will be alive to testify against this smuggling group. Rupert isn't happy at all to have done all the work he has done to just be sent away when the group is about to be apprehended. Rupert was a captain in the navy during war with Napoleon but is also one of the most powerful men in the land, he is the Earl of Carrington. The Prince tells him to take on the persona of the captain and not divulge his identity to anyone. Rupert's friend has a cottage far removed from London in Devon that he disappears to. Alexandra (Alex) Dancy isn't all that she seems. 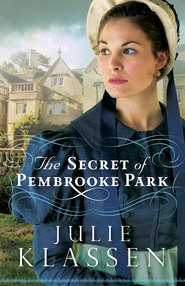 Her family cares for the cottage that Rupert will soon be occupying but they have many large secrets that they fear if anyone discovers them they will be ruined forever. Cecil Bedford(our villian) is allowing the Dancy family to rent the small home they are living in for free as long as Alex agrees to marry him in the near future. Alexandra is a great beauty that none can match and Cecil Bedford is completely obsessed with her. He will do anything to ensure that she belongs to him. Unknown to the reader he has a strong hold over their family which is a large struggle for Alex because she feels she has no way to extricate herself from his grasp. She has been praying for a miracle and a way to help her family escape but she has been unable to find any hope to do so. When Captain Carrington first arrives in Devon he and Alexandra have a misunderstanding which leads her to be very upset with him and grateful that she will never have to see him again, until she discovers he is the new occupant of the cottage that her family helps care for. They are forced into each other's company time and time again. Every time Alexandra's barrier towards the captain starts to drop. She begins to realize her first impressions were not accurate and starts to form an attachment against her will. First because she knows that she is far below his social status, even more so when she starts to believe that he is higher ranked than he lets on. Second because she knows she will only suffer if she allows herself any hope from being free of Cecil. Captain Carrington is intrigued by Alex and knows that he should not even look in her direction because her social standing would only bring her pain and ridicule from the social circles he walks in if they were to ever marry. Yet he happens to chance upon several moments, unseen, when she is speaking to Cecil Bedford. He realizes that Cecil has some sort of hold over her and her family and is determined to find out what. In the many interactions he has with the Dancy family he begins to suspect more about their history. I really don't want to spoil anything and I think that most readers will come to some sort of conclusion about her family as you start to read but I want you to be able to do that and have the experience of it rather than me telling you. Sorry if you were wanting that info. Captain Carrington starts investigating into the Dancy family only to come up short. Luckily he chances upon clues that help him and eventually Alex reveals a little about her situation. Eventually Cecil pulls his wild card and Alex is almost out of time to secure her freedom of Cecil. She must figure it out soon or will have to be married to him and unhappy for the rest of her life. Just to throw it out there as well, what will happen when she finally discovers he isn't just a Captain?What will he do when he discovers the secret that her family has tried so desperately to keep hidden and which keeps Cecil Bedford close by? I have to say it was just a great read. The two main characters were well developed, the backstory was well set up and revealed slowly throughout the novel. I could guess at the ending but wasn't 100 percent for sure until the final reveal. I enjoy books like that. After reading many books with the predictable outcome(which I do love by the way) it is nice to have one that although predictable it is hard to put your finger on the exact secret of the characters. I am sure I could go on and on about the book but I am out of time and have to run. If you are wondering if you should read this book or not I say do it. Just pick it up and enjoy the suspense and unraveling of the secrets in it all the way to the last page. Then if you haven't already read Lydia pick that one up too. I'm happily awaiting for any further books Wanda Luce decides to write. If you’re like me a sweet Regency romance is my favorite go-to genre when I’m craving a good book. I’ve wanted to read this one since I first heard about it. In the Wilds of Devon drew me in and held me captive. With a band of criminals threatening his life, Lord Rupert Carrington is sent to the country and forced to hide his true identity as the Marquess of Landowne. He poses instead as a mere Captain retired from the Royal Navy. What he assumed would be a dreary country exile turns into a welcome retreat when he meets the lovely and mysterious Alexandra. But as a member of the working class she is out of Rupert’s reach, not to mention the man trying to blackmail her into an unwanted marriage. It seems as if fate will keep them apart. Rupert and Alexandra both have secrets, and I couldn’t put the book down as I waited to find out who would solve the mystery first. With such likable characters, I was cheering for them from the first page. In the Wilds of Devon is a thoroughly enjoyable regency romance. Alexandra is a very likable character, and I quickly became interested in her delima. Cecil was an absolutely despicable villain, but also a believable character. I really liked Rupert. He was a fantastic hero, and his motives were believable and real. While the characters were suited to the time period, none of them felt like cookie cut-outs. Each was unique and three dimensional. Both the good guys as well as the bad guy, and folks in between. The story drew me in very quickly, and I found myself rooting for Alexandra and Rupert, and hoping that they would find a way to make sure that Cecil got his comeupance. There were dances and pretty dresses, and more than one revolver discharging, plus a few exciting and unexpected twists in the plot. The end, I found wonderfully satisfying, and I am very glad I read this book. Wanda Luce is a great author! Loved "In the Wilds of Devon". I thoroughly enjoyed escaping into In the Wilds of Devon by Wanda Luce. The story flowed smoothly with just the right blend of mystery and clean romance and a touch of humor to offset the villain's darkness. Here's a little sample of her light-hearted writing that I enjoyed: "His gaze held her spellbound, and the set-down she instantly formulated refused to take charge of her lips. Finally, her feet heard her call to move, and she turned away from him and started for the door." I really appreciated learning more about early 19th century England, mainly through dialogue, and enjoyed the characters, wondering how all would be resolved so that love would win out in the end. I will definitely read more books by this author. This is a charming deviation from the usual "ballroom" Regency. Rich with authentic Austen-esque language, this delightful romance blends witty banter, layers of secrets, a villain I loved to hate, and just enough intrigue to keep me on my toes. But of course, the very best part was the romance itself and seeing how two very brave and honorable characters overcome such terrible odds to finally find their happily ever after. I rooted for these likable characters to the very end. I loved the interaction between the main characters--especially when they first meet. The hero is heroic. The heroine is strong. The story is interesting. I LOVE the regency romances coming out right now! And this one has a FANTASTIC twist! But there is still the social class status, with lots of rules, and a smattering of bantering, and tight-kept secrets, and a controlling villain, and a mystery to be solved, and oh. the. romance. A strong female character and a debonair gentleman--each with something to conceal--each finding friendship with the other--each afraid to act on their love. LOVED it from the very first page to the very last word! So want to read more from this author!